Сonstruction is developed accounting dynamic loads, appearing on shooting. 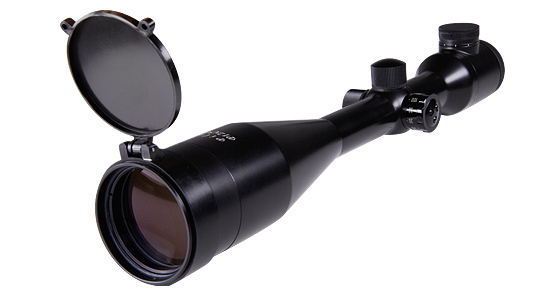 The large length of the scope alighting part makes the process of setting more convenient. The scope is equipped with objective distance overfocusing arrangement for parallax effect elimination. Illuminated red reticle of P12x50FL has 9 brightness levels.